If you've never hunted using hounds, this could be just the thing to round out your hunting experience. A hot track, hounds baying, the elusive predator somewhere up ahead. The excitement is definitely in the chase. 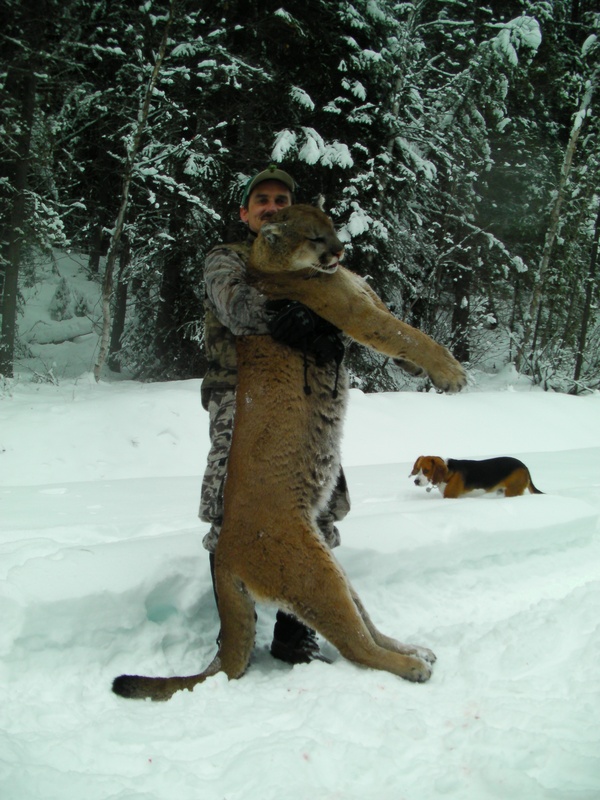 We have an excellent cougar population and well trained hounds that love to hunt the big cats. Whether you choose to use black powder, rifle or archery equipment, small game such as bobcat, wolf or lynx may be added for an additional fee. Season Dates - Dec 1 - Jan 31.